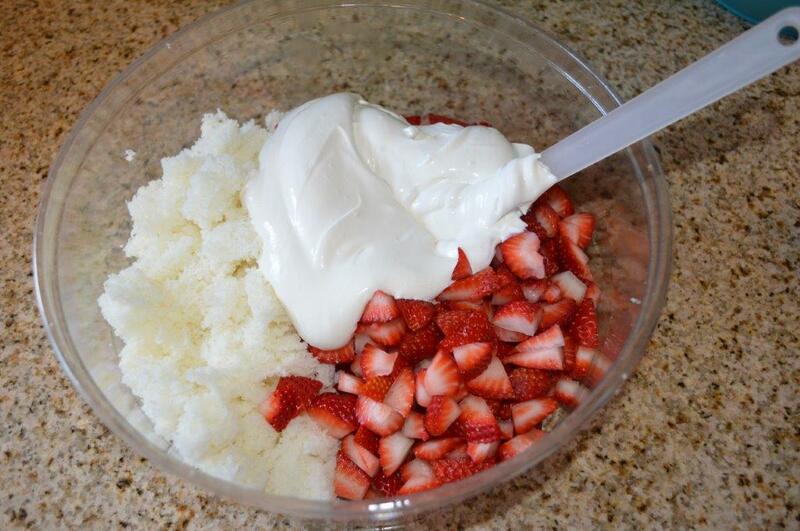 Fresh Strawberries with Angel Food Cake make this a trifle and a dessert in one! What do angels eat? I dare say this would be it! I mean seriously, look at this extraordinary dessert!!! 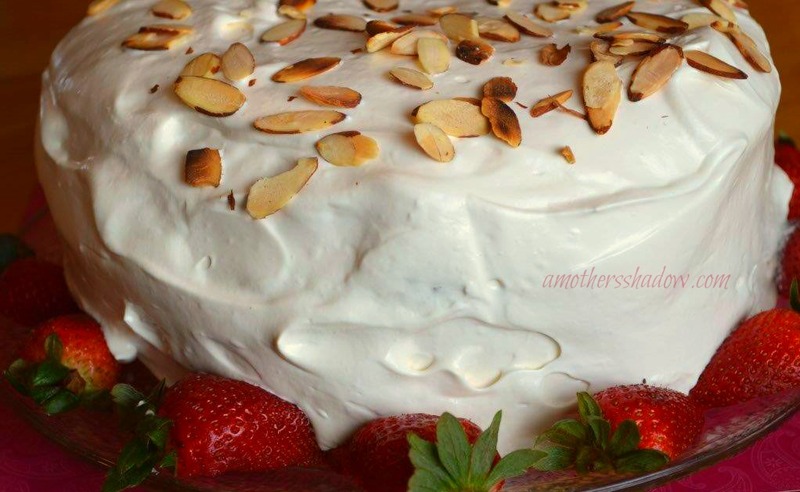 It’s beautiful and don’t you want a slice…plate of it now? I’ll show you how to make this stunning cake. You’ll look like a professional baker with my easy to follow, step-by-step tutorial pictures on the following pages, so let’s make one together! 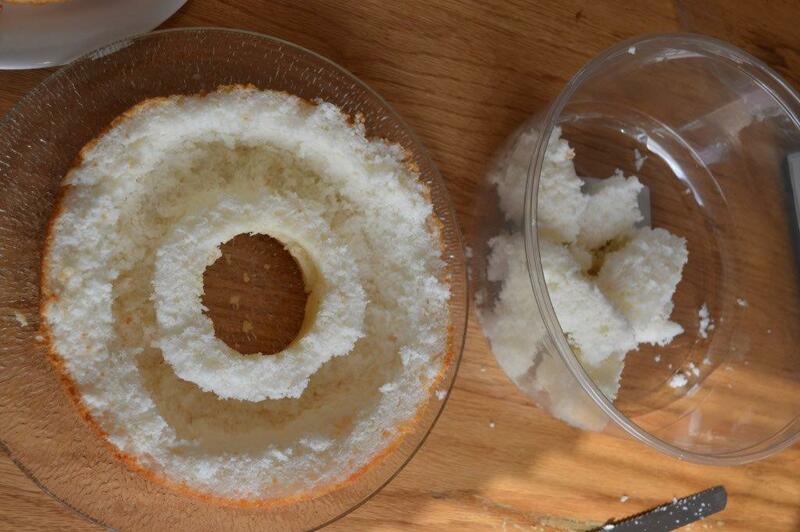 1 store bought angel food cake *I used a large one, about 22-26 oz. Dry toast the almonds in a fry pan over medium heat. Stir constantly, watching closely and take the pan off the heat as soon as the nuts begin to turn brown. 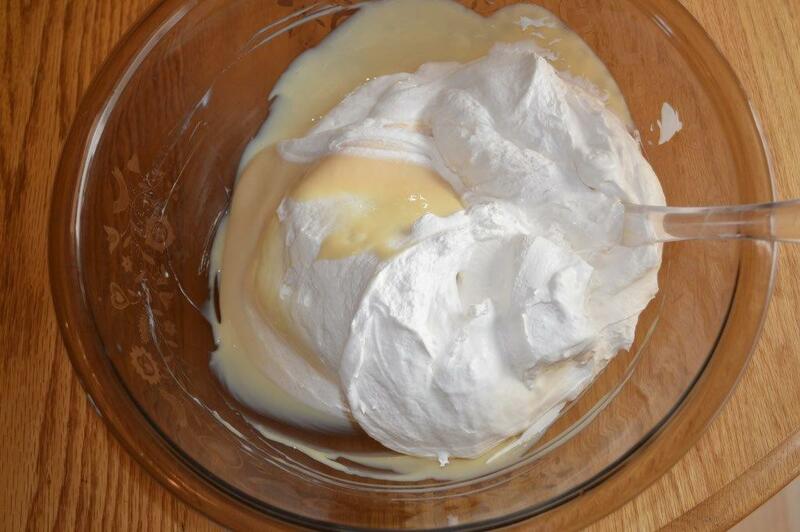 In a medium mixing bowl, combine the sweetened condensed milk, lemon juice, almond extract and vanilla extract. Mix well. Stir in the prepared topping. Chill for 10-15 minutes. Meanwhile, using a serrated bread knife, cut 1-inch off from the top of the cake. 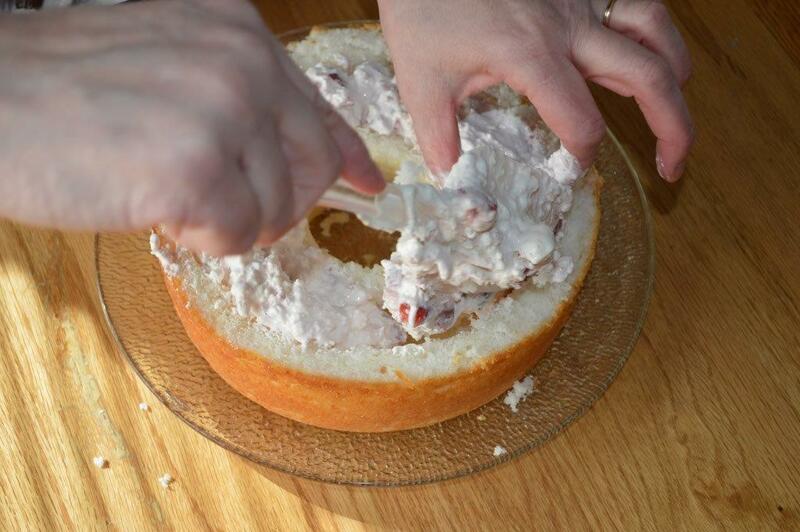 Carefully remove the top layer and set it aside. 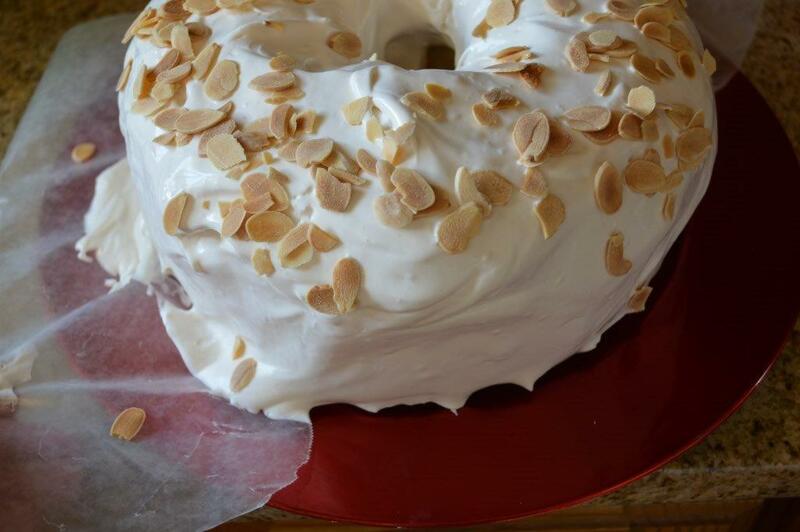 Then, with the tip of the knife, cut into the cake along the inner and outer edges, leaving a 1-inch border of the cake intact; creating a tunnel. 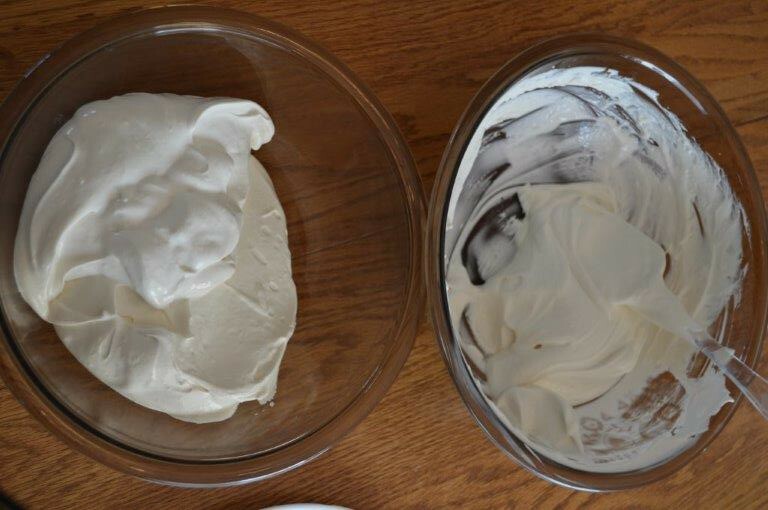 Using your fingers, carefully hollow out the cake between the two cuts, using care not to remove the bottom of the cake. 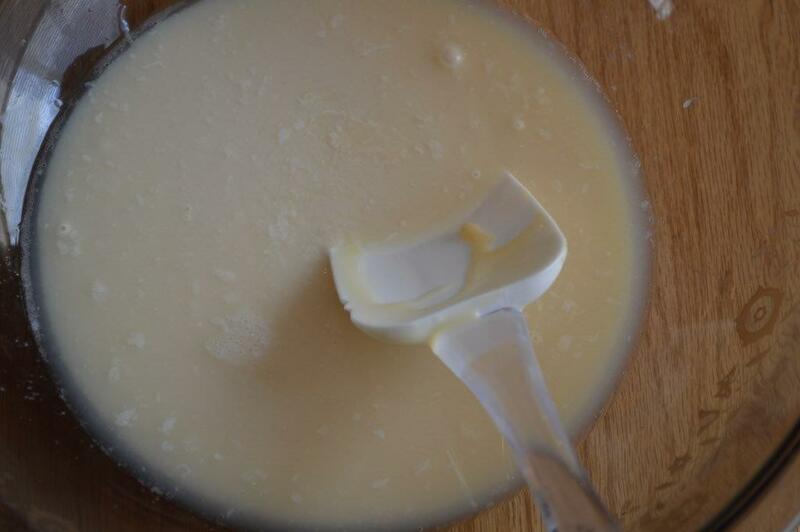 Tear the hollowed out pieces into a little larger than bite sized pieces and place into a medium bowl. Hull the stems off the tops of the strawberries; cut into bite sized pieces. Set aside. Leaving the rest in another bowl. 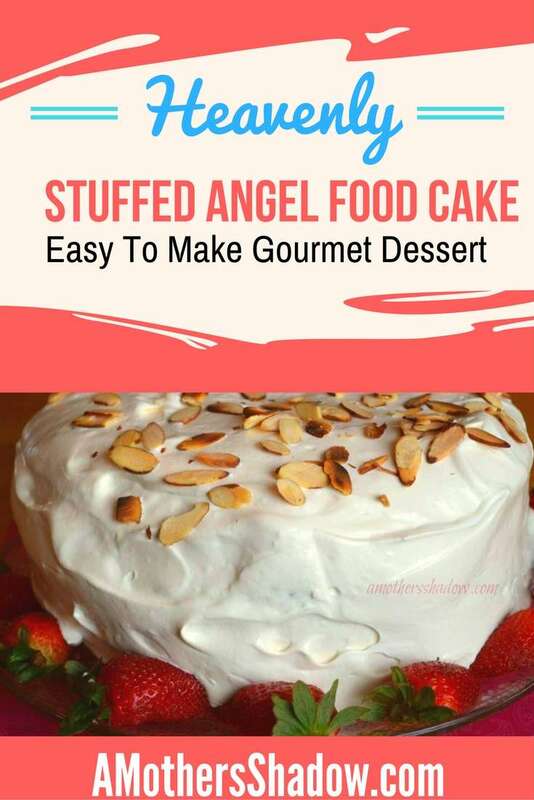 Combine together the angel food cake chunks, the cut up strawberries and the approximately one cup of the whipped cream mixture. Spoon the whipped topping and strawberry mixture into the tunnel of the cake, packing in as needed to make it level on the top. On a serving plate, put pieces of waxed paper that can be pulled out easily after the cake is decorated. Place the cake on top of the waxed paper pieces. 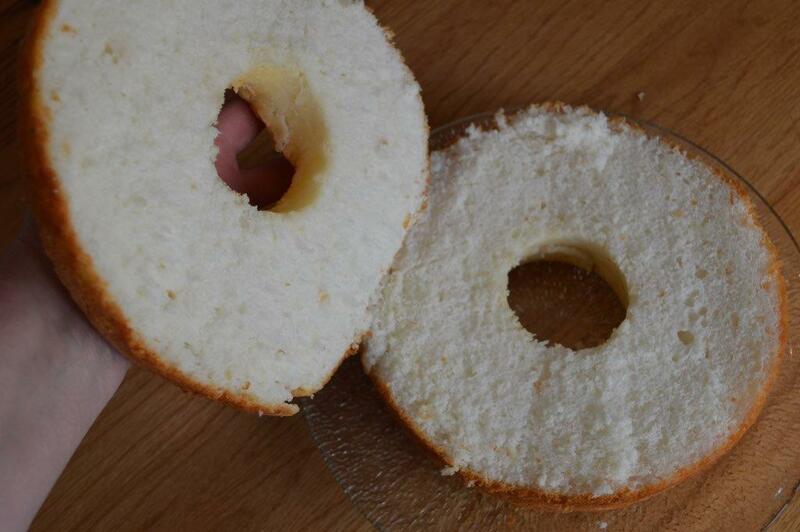 Place the top of the angel food cake back in its place. 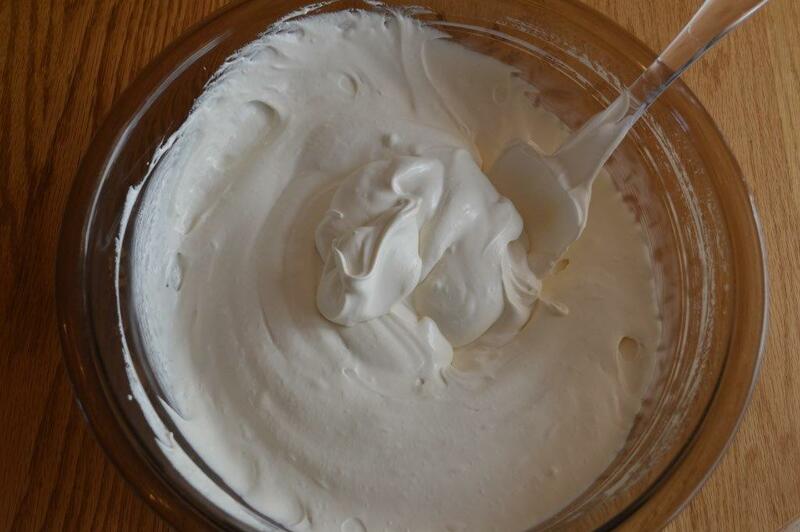 Use the remaining whipped cream mixture to frost the entire cake. 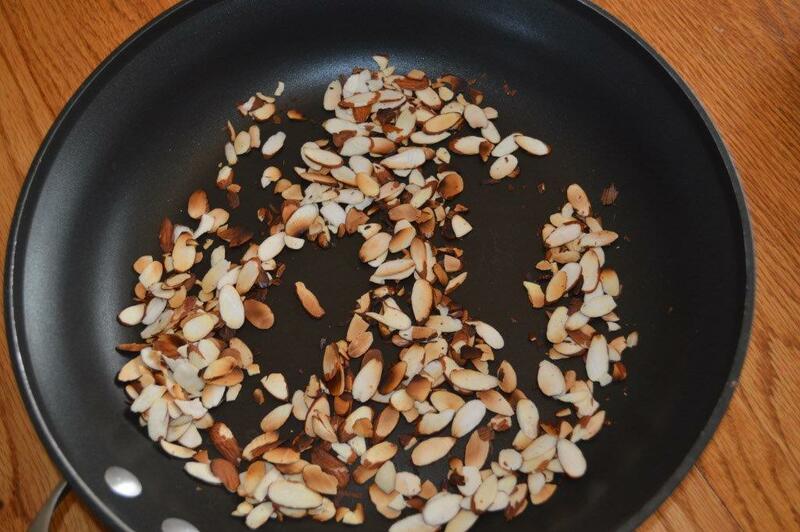 Sprinkle with the cooled toasted almonds. 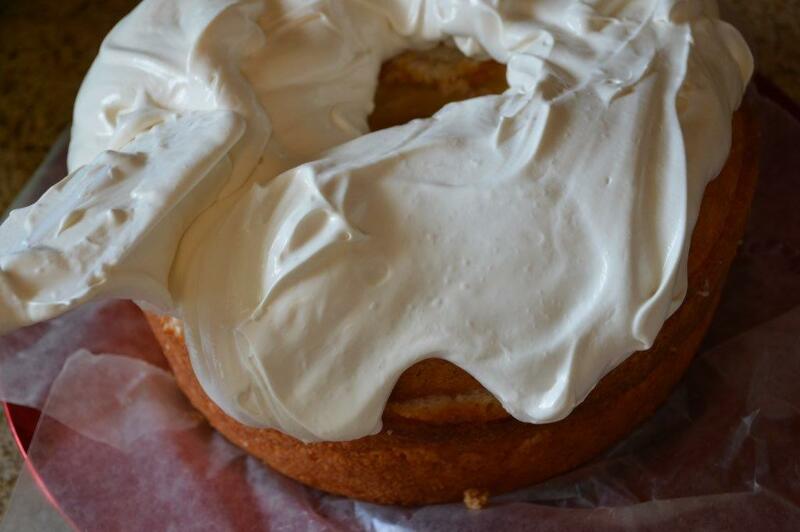 Gingerly pull out the pieces of waxed paper for a clean area around the cake. Chill until ready to serve. Make and serve the same day. 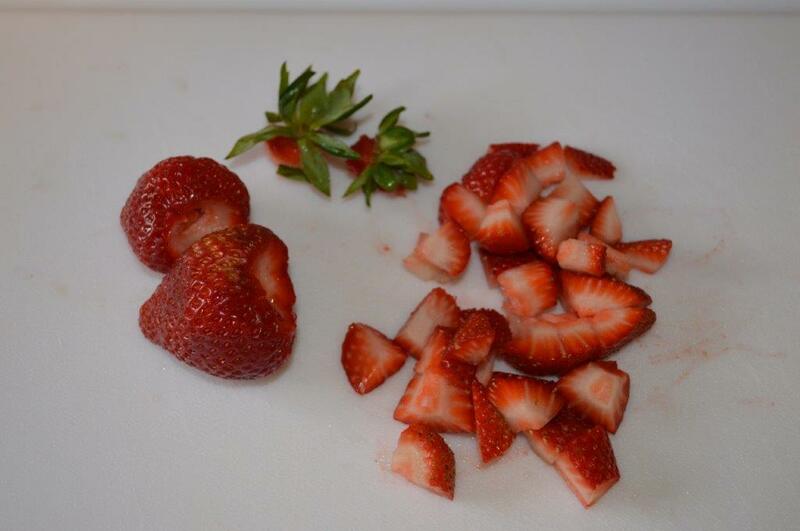 The reason to make and serve the same day is because fresh berries ‘weep’, meaning they release their own liquid; which will cause the cake to go soggy or break down. Recipe adapted slightly from butterwithasideofbread.com.